The maiden shipment of Fortescue Metals Group’s (Fortescue) new 60.1% iron content product West Pilbara Fines, has left Herb Elliott Port in Port Hedland bound for Hunan Valin Steel Co., Ltd (Hunan Valin) in China. Fortescue will produce 5 – 10 million tonnes of West Pilbara Fines in FY19 by blending higher iron, low alumina ore from the western pits at Cloudbreak with ore from the Firetail mine. When Eliwana begins production in December 2020, production of West Pilbara Fines will ramp up to 40 million tonnes per annum. 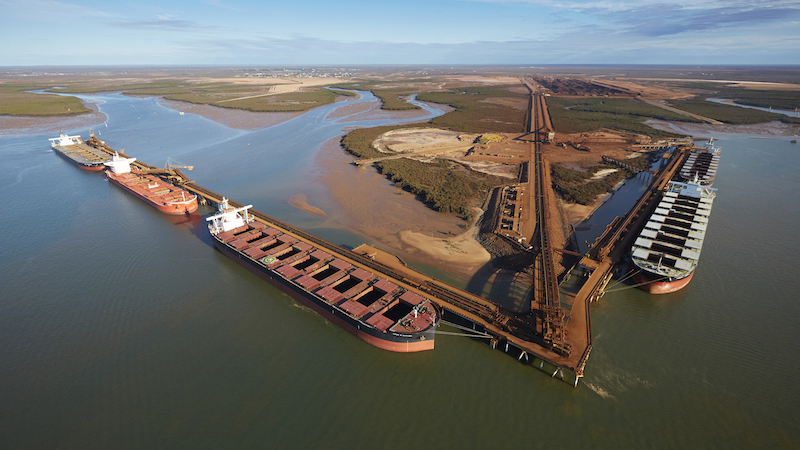 “As a low cost supplier of seaborne iron ore into China and north Asia, Fortescue has enjoyed strong relationships with customers since our first shipment of iron ore ten years ago and it is pleasing to see Hunan Valin, a long standing and valued customer, receive the first shipment of West Pilbara Fines,” Ms Gaines said. Ms Gaines thanked everyone at Fortescue who worked hard to deliver the new product on schedule, especially our marketing and operations teams who continue to deliver value for our customers and shareholders.